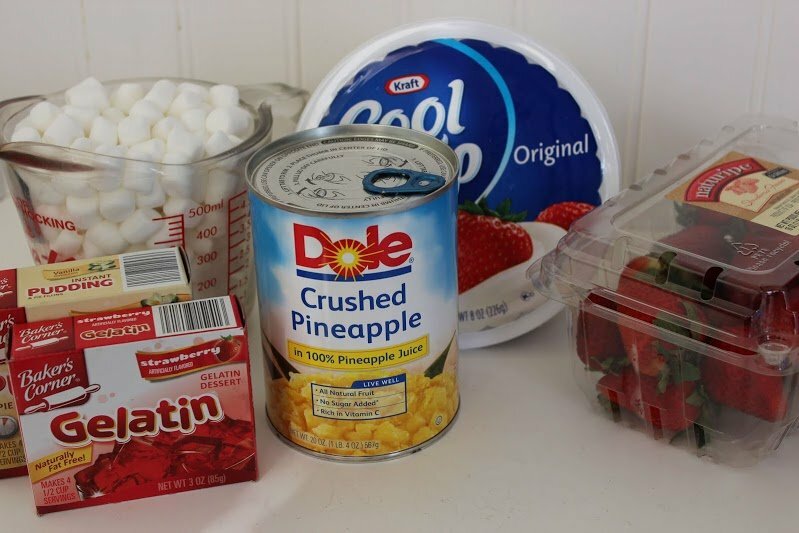 Strawberry Fluff is a family favorite recipe for potlucks and picnics. 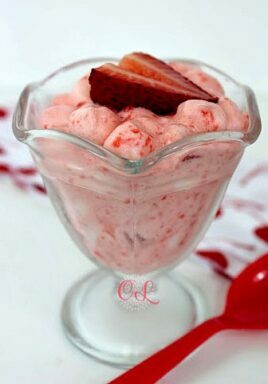 Sweet juicy strawberries mixed in a delicious creamy base makes a perfect side or dessert. If you’ve never had a fluff salad before you’re going to LOVE this! It’s soft, fluffy and loaded with strawberries and cream flavor. In my family we just call it fluff but a lot of people refer to this as a Strawberry Fluff Salad. I honestly don’t know why they called this a Strawberry Fluff Salad because it’s not a salad in the sense we think of a typical salad. To me it’s more like a dessert but makes a perfect side dish for any potluck. (If you’ve ever had a watergate salad, you’ll know exactly what I’m talking about)! The addition of the strawberry gelatin boosts the strawberry flavor from the fresh strawberries (and adds a pretty pink color to this recipe). 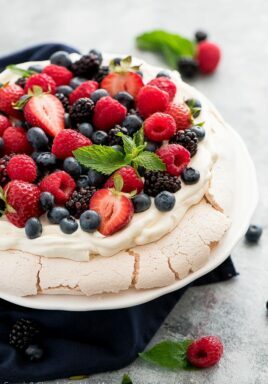 While some versions of fluff call for cottage cheese in the ingredients, this version uses pudding mix and whipped topping to create a delicious creamy base. As this dish sits in the refrigerator, the marshmallows soak up some of the liquid causing the dish to thicken slightly and adding a bit of sweetness. 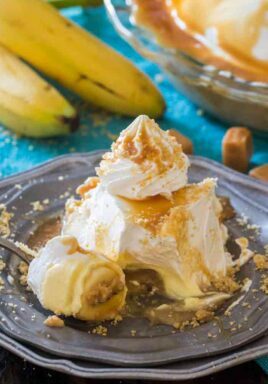 I always make this fluff recipe with Cool Whip because it’s quick and easy and holds up well. If you prefer to use fresh cream instead, just whip it until thick and fold in as desired. 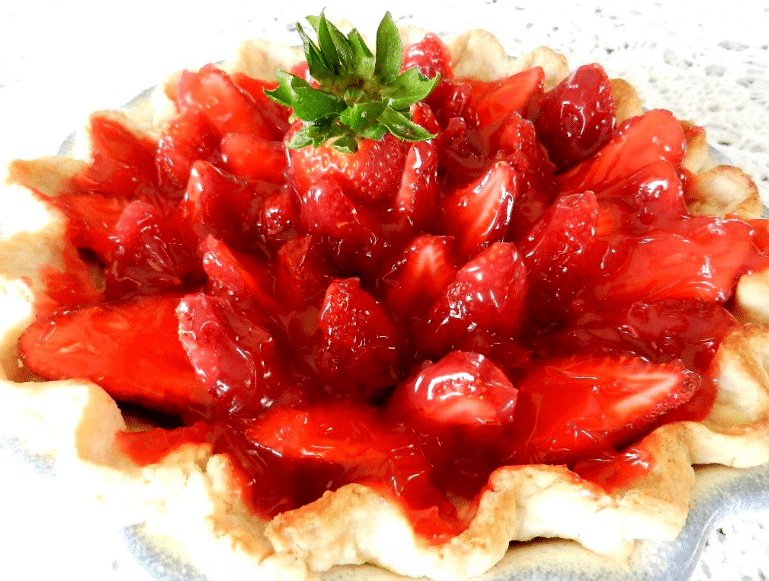 This dish has a strawberries and cream flavor that everyone always loves! While I make this with strawberries, you can use any combination of fruit you like from peaches to mandarin oranges. It does need to sit in the refrigerator at least one hour but can definitely be made up to 24 hours ahead of time making it the perfect potluck dish! 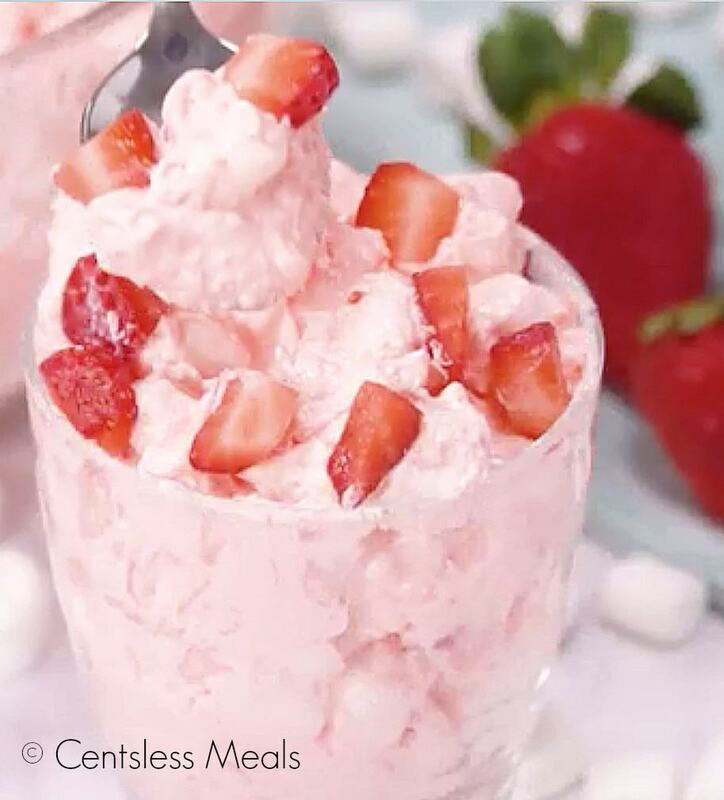 Light, creamy and extra fluffy this strawberry fluff combines a mixture of jello, cool whip and strawberries to create a side dish everyone will love! Place jello in a medium bowl. Add boiling water and stir until dissolved. Add ice and stir until melted. Place into refrigerator for 10 minutes or until it begins to set. Place pineapple in a separate large bowl (do not drain). Add vanilla pudding mix well. Add all remaining ingredients and stir. Fold jello into the whipped topping mixture until smooth. 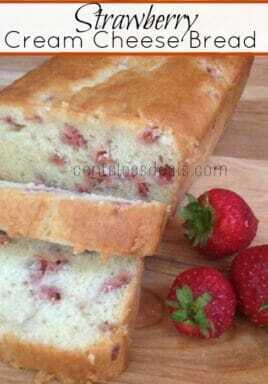 Can you use frozen strawberries instead of fresh one’s. I’m definitely gonna try it with them as well as using cheesecake pudding. It’s gonna be called strawberry cheesecake delight or fluff. While I have only made the recipe as written, I think that would work. If there is some liquid, you may want to add less other liquid or add in more marshmallows to get the consistency. Enjoy Joey! Sorry I missed your question Gloria. You add the pudding mix in dry. HELP!! My jello didn’t set. Can I add more vanilla pudding to thicken it up. It’s a little too runny even tho I DID put in refrig all night. If anyone has a solution I would greatly appreciate some feedback but quick! I haven’t had that problem, but think that your idea would help somewhat, as would adding more marshmallows. Looks delicious. For those of us without access to US market items, what is whipped topping? Would whipped cream work? Yes it would work with whipped cream. Let us know if you try it Jane! I have never tried freezing this recipe. Let us know if you try it Ann! You are welcome! I’m glad it turned out so well for you Theresa! I’ve seem it with canned blueberries or cherries. 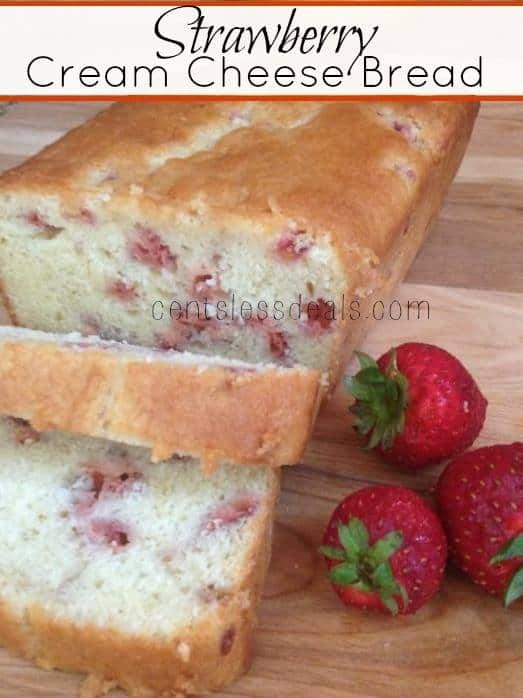 Looks amazing on vaction in Panama City and the hubby bday is on the 13th I’m so going to make this for his B-Day he don’t like strawberries but me and the kiddo love them so it’s a win win on his B-Day lol thanks for sharing …. Yes. Add sliced banana instead. Add 1/2 c. Cranberry juice to replace pineapple juice. Yes, can also use cut up angel food cake to replace marshmallows. Thank you for the tips Cathy! Instruction number 2 says to put it in the fridge for 10 minutes or until it begins to set. Hope that helps! In all the fluffs I have ever made, I add the jello dry. Could I do that with this recipe? Do you have to use the crushed ice? Crushed ice helps the jello set. Faye, if you have only ice cubes, I’d suggest that you crush them a little before adding it to make sure it dissolves well. You could put them in a ziploc bag and pound them with a mallet or pan to crush them. Hope that helps! Do you think a jar of marshmallow fluff could be used instead of the mini marshmallows? I have only tried it as written, so I can’t say for sure. Let us know how it works out if you try it! All I have is a big box of Jell-O and cook and serve pudding…do you think that’s ok? I do not think you could use cooked pudding. I would wait to try it until you have the instant pudding. the larger jell-o will work, but then use the larger size pudding also. I would also adjust the other ingredients so you will just end up with a larger end product. The marshmallows soak up some of the liquid causing the dish to thicken slightly and adding a bit of sweetness, so it would not be quite the same. I make a variation of this and I add chopped pecans or walnuts for a nice crunch. Does pudding mix need to be made with milk ?….or just add straight from box ! Add it straight from the box Bob. Enjoy! Must try this, sounds delightful! I can’t eat pineapples; what would be a good substitution if any, or can it go without them completely? I have only tried it as written, but think you could replace it with another crushed fruit. I would not recommend leaving it out completely. Let us know how it turns out! My family loves it too Shannon! Please do Ann! You’ll love it. Will this recipe ‘work’ without the marshmallows in it ? Mine was not thick enough. What can I add to make it thicker. You can add more marshmallows to help thicken it Melissa. Enjoy! They all sound so good. Strawberry Fluff is so easy to make. Can you leave out the pineapple? My daughter is allergic to citrus fruits and misses out on all the “good stuff”. Looks yummy! I have only tried it as written, but if you leave out the pineapple, I’d suggest you’d want to replace it with another crushed fruit. Let us know how it works out Marie!